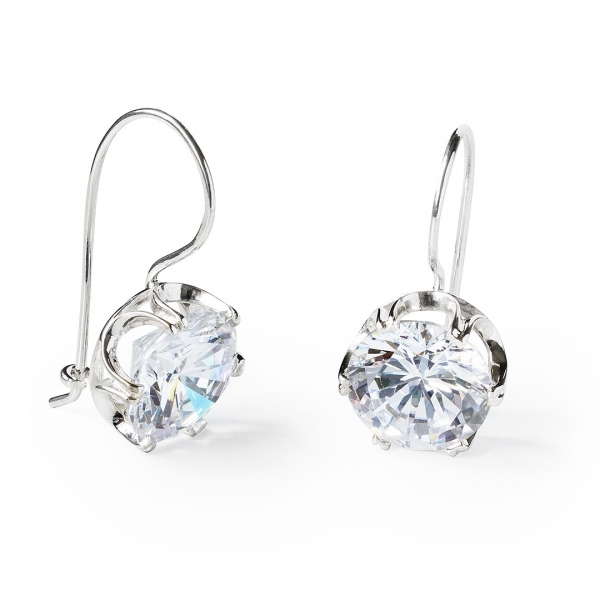 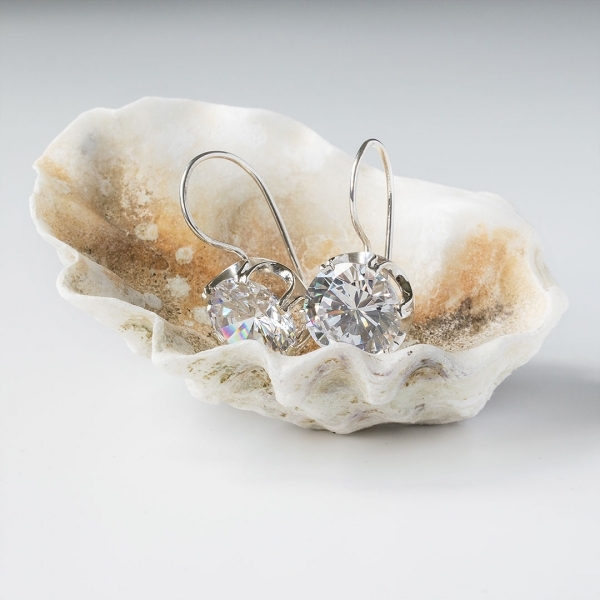 This elegant pair of dangle style drop earrings is set with a single round cut large cubic zirconia stone for show stopping sparkle. 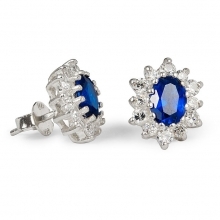 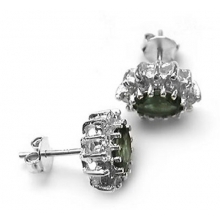 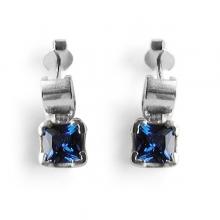 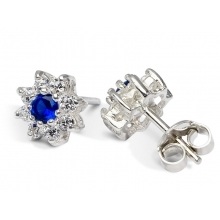 These stylish and chic jewellery gift is finely crafted and hand-finished in sterling silver. 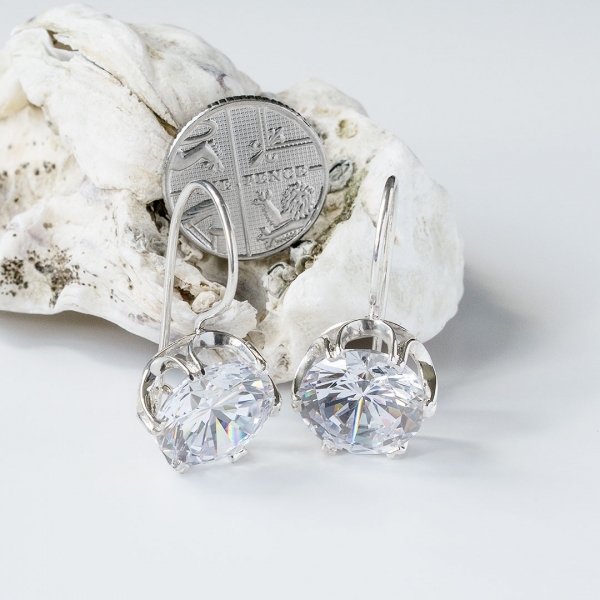 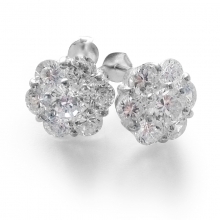 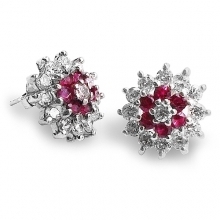 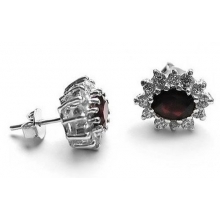 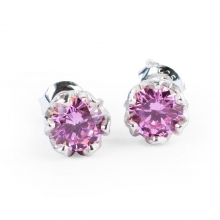 The central cubic zirconia is 1.2 cm diameter, set in 6-claw setting. 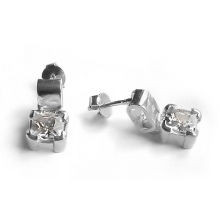 Width: 1.5 cm, Length: 3 cm, Depth: 1.7 cm. 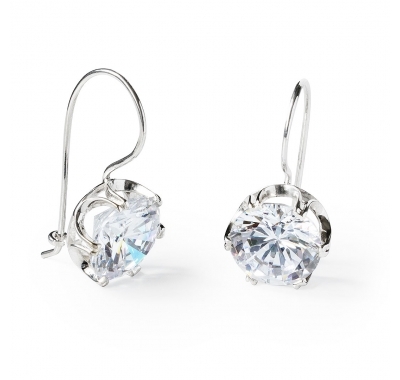 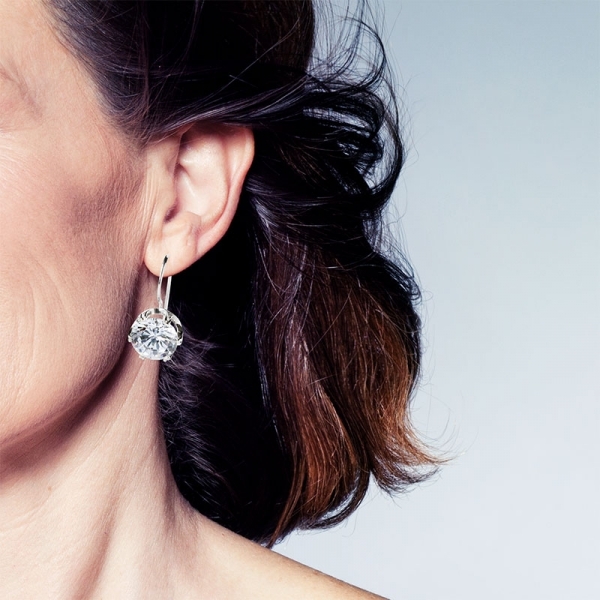 The earrings will complement any female ear.